A while ago I mentioned that I hah been prompted to try Khorasan / Kamut flour by a few other bloggers, so purchased myself some whilst at Shipton Mill. Since then I have been very busy, with sadly very little baking. This weekend was my first chance to actually give it a go, and here is what I made. The recipe for this I actually made up myself. Not the best start for trying something completely new I know, but I didn’t fancy any of the recipes I could see. 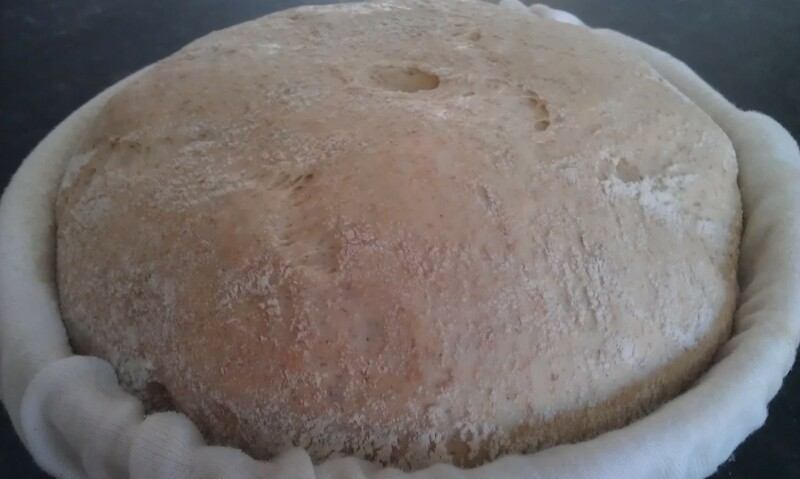 The Richard Bentinet recipe is for a fermented loaf, and I just wanted to make something now. From my understanding of Khorasan it is quite a dry flour with a nutty flavour, quite similar to spelt. So I used it as such. 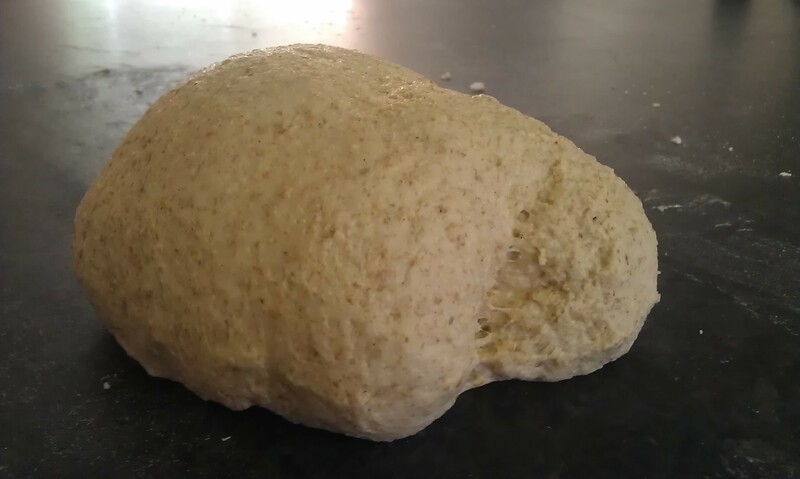 To actually make the bread I used my standard method, except I left it to rise a bit longer during the proving stage. 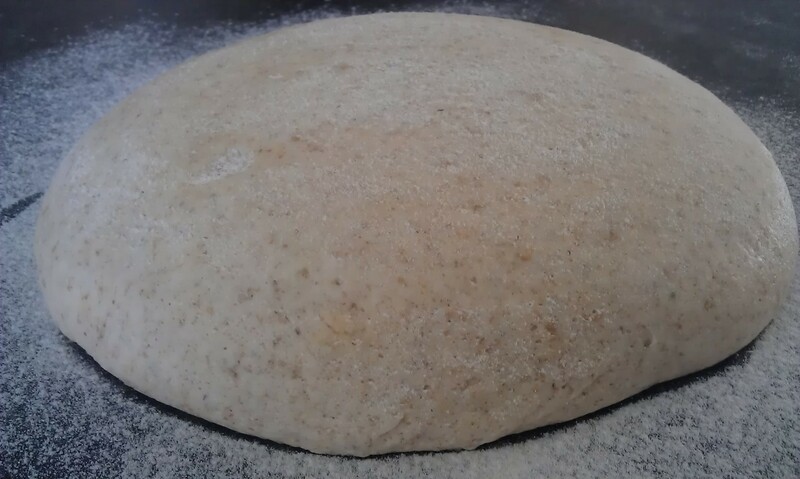 This was a combination of being busy doing other things, and the dough looking a bit heavy. For the bake I preheated the oven to 220°C then down to 180°C after 10 minutes. Honestly I went a bit overboard with spraying the loaf with water before baking, and I think it adversely affected the crust. In looks more than taste. 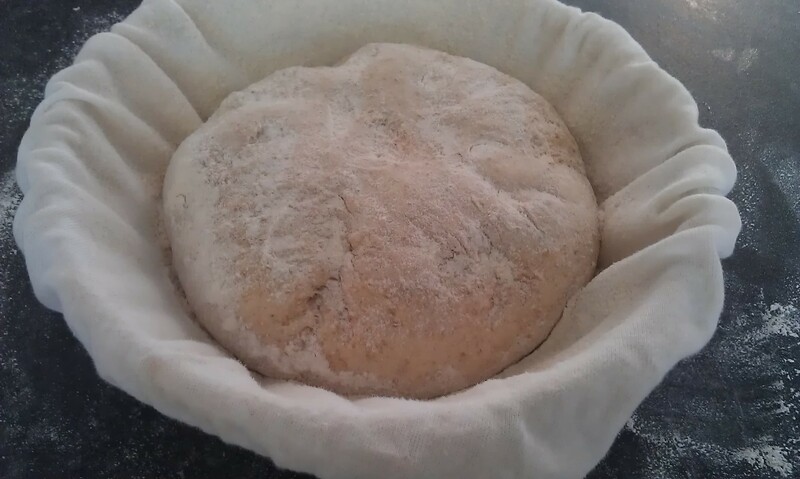 Boule after proving, ready for baking. In terms of a finished loaf I couldn’t be happier. I honestly believe this is one of the nicest loaves I have made. 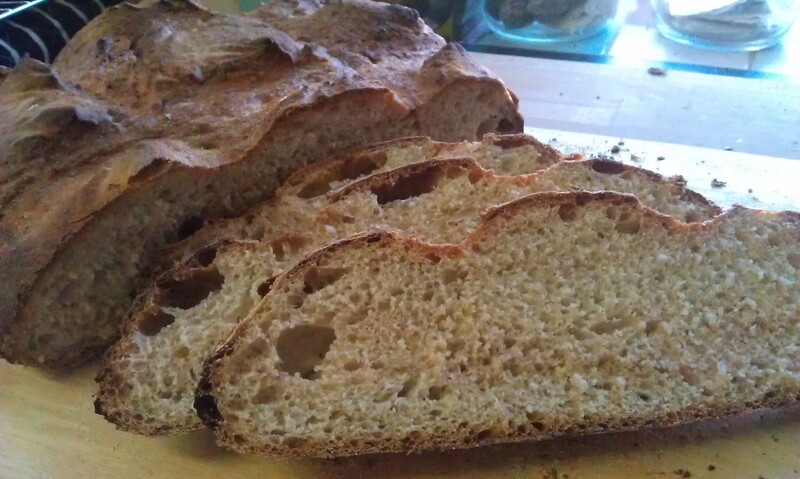 On a par with the 50/50 loaf in terms of softness of crumb, and the spelt on taste, except different. 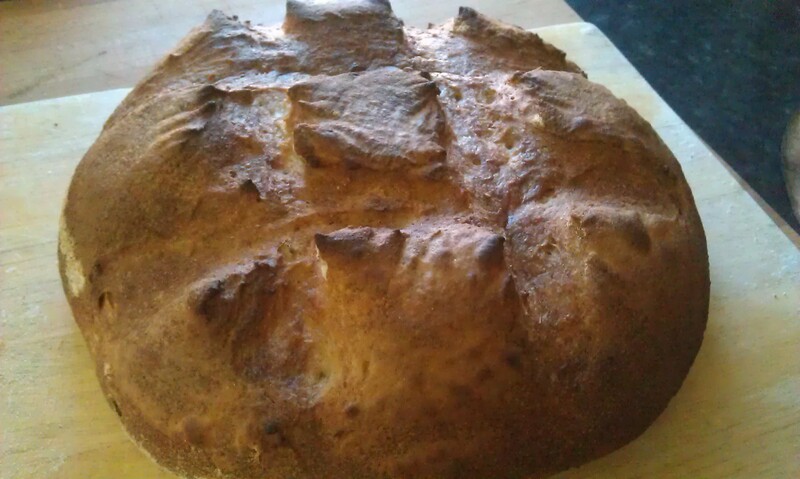 The Khorasan isn’t a very powerful flavour, I would perhaps up the ratio in future, but for now I am one happy baker. 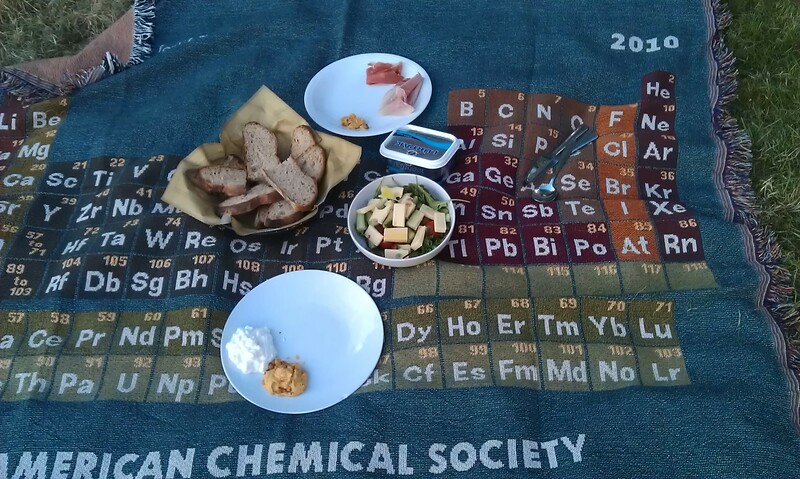 Clare and I took the opportunity of the fine weather to enjoy some alfresco dining, and the loaf formed the centrepiece of our late lunch. Looks delicious. Nice way to work in a great grain! Thank you. I didn’t really know what to expect from it, but I am really happy with the results. I am more than open to suggestions for alternative uses.